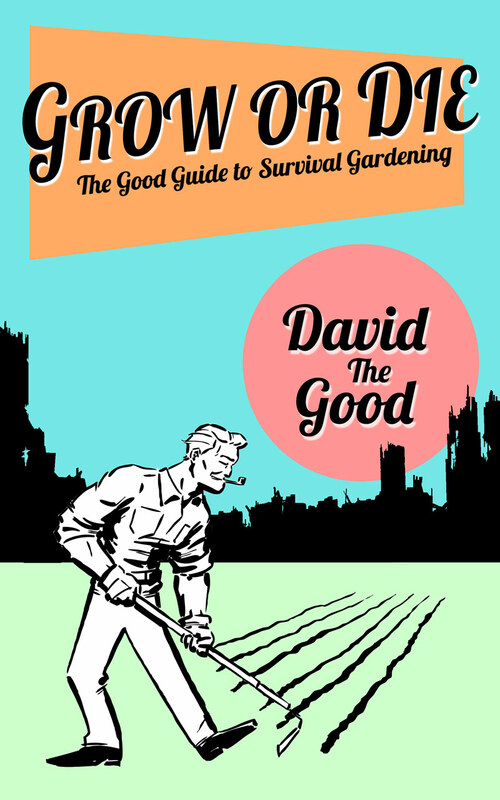 I’m often asked how to get rid of squirrels, particularly now that I’ve written four books on gardening, plus created the Survival Gardening Secrets audiobook. I had a few suggestions there, but over the last few days I’ve been remembering a lot of my favorite methods for getting rid of squirrels… and today’s post is my gift to those of you who hate the little tree rats. If you’re triggered by the thought of killing adorable little tree-dwelling creatures, quit reading now. I haven’t practiced all of these squirrel killing methods, but if I had to choose between my garden and whacking a few rodents, I’d whack rodents. One year after planting a bed of rare heirloom corn, Rachel caught a squirrel digging up and eating the new shoots. Squirrels will eat your squash and pumpkins, gnaw and drop all your avocados, steal your peaches and persimmons and generally wreck whatever food they can get their paws on. Instead of just taking an entire fruit, they’ll bite pieces from 30 fruit and leave them all to rot. They must die. Here are a bunch of ways you can get rid of squirrels. When I lived in Tennessee, I bought a house in a quiet old neighborhood with lots of trees and places for squirrels to live. Yet there were almost no squirrels. It was wild. I couldn’t figure out why, until at some point I mentioned it to one of the neighbors. There are multiple ways to trap squirrels, both deadly and non-deadly. The Havahart trap works well and I’ve caught squirrels in it before. The problem is – what do you do with that squirrel once you’ve caught it? A remorseless old homesteading dame of yesteryear would probably throw the whole trap in the horse trough to drown the hapless squirrel, but we modern fops find that horrifying. Release the squirrel and you may simply be prolonging his death, however. “When the only other option is killing we sometimes agree that relocation, which gives the wild animal at least a chance, is acceptable. Much depends on the species involved, the time or year, the area into which relocation occurs and other factors—too many to write a general prescription. So, kill ’em. KILL. THEM. ALL. Here’s another method of trapping squirrels that’s perfect for psychopaths. PVC, a bucket, some peanut butter… very inventive. Here’s an even easier way to knock down the squirrel population rapidly: rat traps. Nail rat traps to your fence posts and bait them with peanut butter. The squirrels WILL go for it. If you put out 5-10 traps, you can nail a lot of squirrels quickly. These Victor traps work nicely. Yes, it’s mean. Look – if you’re going to complain about it, why are you still reading? Didn’t you see my trigger warning? I used to have an aunt who decided to go all Rambo against the squirrels in her attic. She went up there with a .22 and waited for a squirrel to show its face… then she’d shoot it. Not recommended, but quite understandable. Squirrels have a way of making one go mad and needing, on a visceral level, to kill. I’ve nailed squirrels with a BB gun, with a pellet gun, with a slingshot and with a shotgun. In the city, you’re limited to BB guns or pellet guns, and even then you need to be careful you don’t get reported by nosey neighbors. That’s the Ruger Blackhawk piston-driven .177. It shoots pellets at 1000 fps. That’ll punch through a lot. The only thing about that gun is that you need to shoot good pellets for accuracy. Mine didn’t like the cheapo pellets. Still a lot cheaper than a real gun, plus it’s legal to buy right off Amazon. If you don’t have time to shoot the squirrels yourself, have one of your sons do it for you. Good times. If you live in the country, I’d get a Ruger 10/22, or, if you live further out in the country, just get a shotgun so you don’t need to be as accurate. Now, here’s a good idea for getting rid of squirrels by shooting them: set up a squirrel feeder in your yard. Just an upright log with some peanuts or corn kernels on it is fine. Keep replenishing that spot with food and the squirrels will show up again and again. Place the feeder in a good location so you can snipe with your gun. Every morning you should be able to nail at least one. Nature does a lot of its own pest control. The reason monocultures often don’t work well is because they’re an imbalanced ecosystem. Squirrels become a dominant species in suburbia because the apex predators are usually gone. Homeowners remove dead trees that could house hawks and owls, kill snakes, and keep their lawns tidy so predators don’t have any hiding places. They also feed the squirrels with feeders, whether intended for squirrels or birds. This selects for hordes of squirrels and doesn’t allow the ecosystem to sort itself out. However, you can strike back by providing places for owls, snakes, hawks and other predators. Yeah, your neighbors might not like it, but I have found that my species-dense food forest has few problems with squirrels. They’ll rob a peach tree now and then, but they also get killed by snakes and snatched up by predatory birds. Hawks in particular are a great way to get rid of squirrels. Getting them to show up in suburbia isn’t easy, though. You’ll probably have better luck attracting rat snakes (who will happily eat squirrel babies). Now since I’m not a fan of just killing without getting some extra use from my kills, let’s look at a few uses for the squirrels you knock out. First of all, you can eat them. I find that squirrels aren’t all that great roasted without seasoning, but they do make good curries. Skinning a squirrel is pretty easy when you do it right. I’ve done that and it works. Squirrels may also be a life-saving food if the entire grid collapses, so before you wipe out the entire population, you might want to think about gardening for squirrel meat instead of vegetables. What if you raised the population to horrifying levels by feeding them, then started culling meat for the freezer. Just a thought. Here’s another good use for dead squirrels: chicken feed. 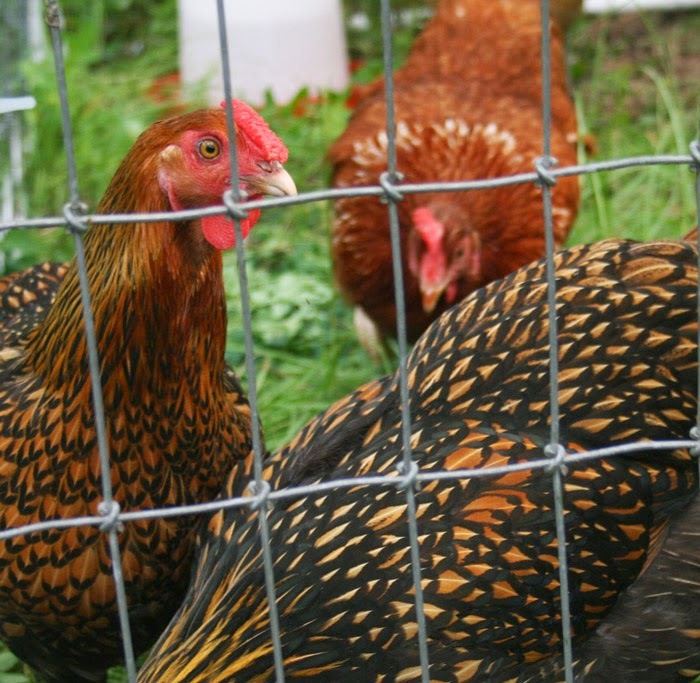 One of the limiting factors when raising chickens is getting your birds enough protein. I’ve killed and chopped up squirrels for the birds and they’re very happy to eat ’em up. Most people don’t realize that chickens will eat almost anything – including other chickens. Feed them squirrels and they’ll turn the squirrels into eggs. Good trade. In my book Compost Everything: The Good Guide to Extreme Composting I share one of my favorite composting methods: making melon pits. 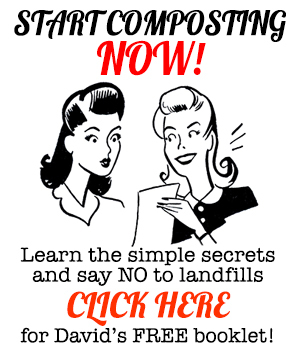 That’s basically just a method of burying waste that wouldn’t work on a regular compost pile, then planting on top of it. Squirrel corpses contain a lot of potential nutrition for your garden, plus using them to feed it has a certain satisfying symmetry. 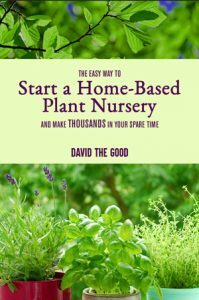 Get rid of squirrels that are eating your garden by turning them into food FOR your garden. Perfect. Squirrel infestations will take some time and ingenuity to beat, but they can be beat. If you really want to be a pacifist and leave the squirrels alone, I recommend following the option of building a higher-end ecosystem and hoping predators will return. Alternately, you can just fence in your entire gardening plot, top to bottom, with wire so the squirrels can’t get in. Many of you don’t have that kind of time or money so killing squirrels may be the only way to go. Nature is red in tooth and claw. If you don’t have predators, you have to be the predator. Unless you want to see your fruits and vegetables disappear into the greedy little mouths of tree rats. The Meadow Creature: Now the Official Broadfork of TheSurvivalGardener.com! I want my own UF bat house!!! We’ve had great success with a Rat Zapper- a few sunflower seeds entices them and then they are quickly and humanely zapped by a couple of batteries. A little light on the top lets you know when you’ve got one. After you have reduced the current generation by a good number, the next one doesn’t seem to know the garden is edible. I haven’t dealt much with rabbits, though I imagine some old-school trapping methods would be the way to go. I want to comment about the bb/pellet gun. I tried that, too. DON’T USE BB’s!!! Please! It’s brutally cruel. The bb doesn’t have enough mass to kill effectively. I still feel bad about finding this out. I had to shoot the poor soul five or so times as he tried to crawl away, bloody, twitching, and half paralyzed. It was terrible. Ugh. I hate thinking about that poor guy. Pellets can be effective, though. I bought special hunting pellets that worked much better, but still a bloody mess and I would sometimes have to take a second shot to finish the job which was brutal. Also, pellets are made of lead like bullets, and I’m not too interested in throwing lead around the yard. Anyway, remember… BB’s for Birds, Pellets for Fur. Non-lead pellets are available, but cost a lot more. Also .22 caliber pellets are much more likely to “one shot one kill” the evil beasts. Importantly, BB’s are hard steel and ricochet like crazy, I avoid them because I like to know that what I shoot isn’t coming back at me. My avocado should bare this year and I am getting ready for the battle. I have 2 cats, an 18yo one that just watches them and a fat 4yo that seems to just entertain the beasts as they taunt her, sigh, I guess I have to trap or dispatch the rats with furry tails. Great comment. Yeah, a kill like that is heart-rending. I never like seeing anything suffer needlessly. Gotta do what need to be done sometimes. Nature is still crueler than you are. I admit, in that situation I’d be tempted to put them in a hutch and feed them myself until they were market weight, but I’m soft and weak. Edited with care by DTG. Hang the PVC pipe in a tree with the peanut butter inside it. Your animals will quickly figure out where on the ground the cat/dog toys land and will be waiting. I had a squirrel scratch a hole in my living room ceiling… I ate him. My grandpa used to shoot a few and hang the dried hides up. Seems the sight or smell scars the others away. A dries animal hide hanging in a building keeps birds from nesting inside, or so he said. Incidentally, I got my fruit tree bug from him. He was always growing stuff from random seeds. Havaharts work great for sure. And Rebecca, there are no innocent cats. Look at their eyes. Evil. sense. It does keep the birds away also. The friend got his at Harbor freight. We got one at wall Mart for about $12.00 in the garden Dept. last week. It really seams to keep them away. I want it to keep the birds out of my Blueberries in the Spring as well as the squirrels. That sounds like a non-lethal winner. Thanks for the suggestion! When the government takes our guns the squirrels will rule. We have to kill ours when the neighbors are gone, they think they are precious. Since we moved here (on a lake in florida) we haven’t harvested any produce, the raccoons here are protected. Protected? Really? Neighbors think they are adorable. I hope the raccoons and squirrels get in their attic. People seem more chill the more agricultural the area. I feel for you. 1. 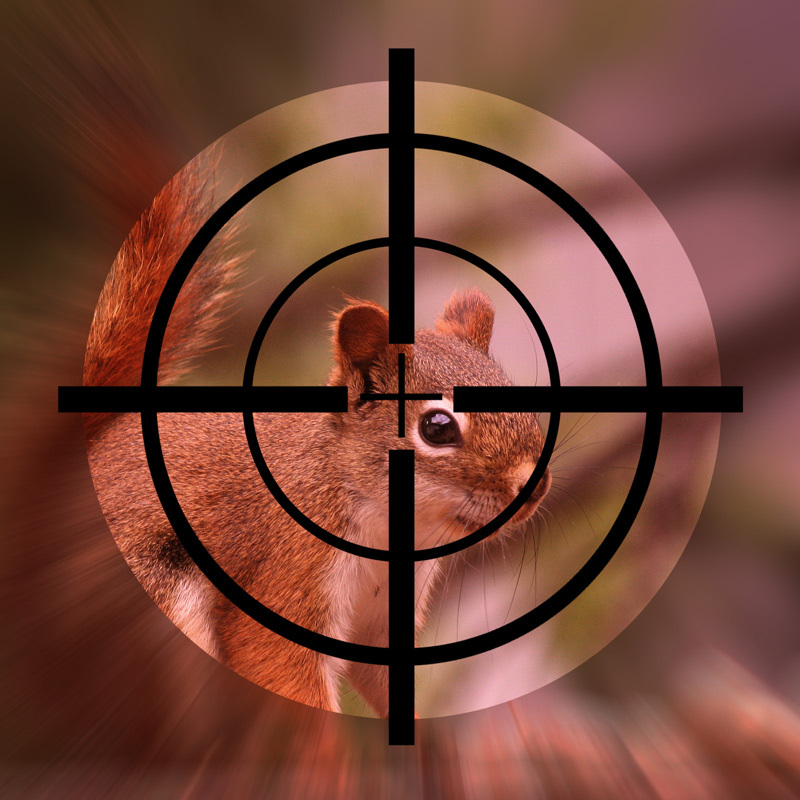 Squirrels are a game species in many states, so killing them requires a hunting license, and taking any out of season is considered poaching. No mention of the legality of the action you encourage your readers to take is disappointing. 2. Even if you take them in season and respect bag limits, baiting them with peanut butter, for example, is not only cowardly, it’s illegal depending on your jurisdiction. Furthermore, baiting alleged nuisance animals is also foolish, because you’re attracting a pest species into an area in which you claim not to want them. 1. I could care less about silly laws and my readers are adults. I don’t care that you’re disappointed. Your concern trolling is ridiculous. Face them with bared sword in hand, like a real viking! What sort of ‘man’ are you anyway, David? I bet you moved away just escape the fear chilling your coward’s heart. Fear of the Great Red. More seriously, game laws protect ‘game’. Urban squirrels are not game in anything but the most legalistic sense. Protect endangered species? Sure. Protect game so we have plentiful populations to hunt? Great. Urban pests? We have racoons, coyotes, rabbits, squirrels, possums, skunks, deer in vast overabundance in our little city. Never heard anything about protected squirrels? I’m more of the horse trough/ havaheart (?) guy myself. Also: sparrows, pigeons, and starlings anytime of year because they are considered nuisance/invasive species. And yes, I am completely heartless and idgaf..
Used to hunt squirrels with my buddy- I wouldn’t eat them though. Can have warbles (bot fly infection), leptospiriosis, and a whole range of communicable diseases. We’d just skin them and throw them the wild pack of dogs in his yard..
At this point I’m done trying to eat them, just because I don’t like the meat that much. Instead of dogs, I’d probably chuck them to the chickens. Heh. I used to dumpster dive regularly. Definitely better than squirrel. I grew up in a gardening family. Rabbits and squirrels were routinely killed but we never ate them. My dad once shot a rabbit on the neighbor’s driveway with a BB gun and the rabbit just rolled over and died. He marveled at the shot. Being in WWII taught him some mad rifle skills. He left the rabbit there. When the neighbor came home to a dead rabbit on his driveway my dad feigned innocence. My mom used to drop the Havahart traps in a garbage can filed with water. The more the animal looked like a mouse, the happier she was doing it. I may be having a ground hog problem. The big question I had was what to do with the trapped groundhog. A friend told me his neighbor leaves the trap and animal in his shed and runs his lawn mower with the door closed. I grew up in Orlando and know the squirrels there were crazy. I wonder if it’s possible to bait them off of crops with much more attractive feeds; offering them something they can’t refuse so they leave your garden alone, like we sometimes use trap plants for noxious insects. Anyone try using animal urine to deter them? I tried human urine – no luck. I turdally have found a way to keep squirrels and rats out of my newly planted crops. I put a piece of dog poop here and there around where I have planted seeds. For some reason they don’t go near it. One way rodents have been beneficial to my food forest is I will strategically put out a rotten papaya and let them have at it. They eat the seeds and then deposit the nitrogen pellets wherever God intends. The papaya seeds that come from the rodents seem to germinate faster and grow better than the ones I plant. Ha! Love it. And the droppings will feed the soil as they break down. I think you’re right on papaya, too. 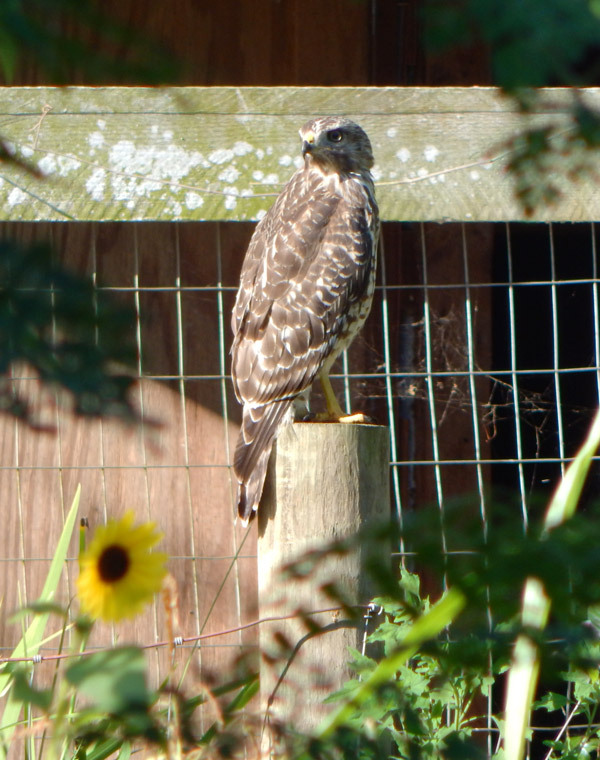 They show up all along the fence lines and riverside on our property, all planted by the birds and beasts. I feed the fuzzy squirrels peanuts. And I buy a 2lb bag of carrots for the fuzzy bunnies. All of us seem very happy. Well, fat rodents are easier targets, so I guess that’s good. First time visiting your website. Very cool and interesting! I live in the big city and I want to get rid of the pesky squirrels that are in my backyard. I love my good size yard and space. If I was to use my bb gun to kill the rodents and try and bury them for dispose of, I can just bury them, no skinning? Right?? As you greatly suggested they can be good food for my garden. Right. Just bury them and plant on top. I actually did that with a rat I trapped and grew a nice pumpkin vine over it. I been thinking about investing in a good paint ball gun. It packs a pretty good punch. Anyone ever try it on a tree rat?